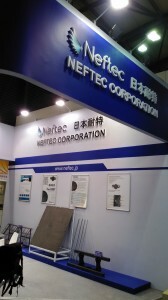 Neftec at SNEC PV Power Expo 2015. Neftec will be exhibiting at SNEC PV Power Expo from the 28th to 30th April 2015. Please come and visit us on stand booth W2 635 to find out how Neftec Carbon/Carbon can help you and your PV needs.